Head to the referral page to get full details and log into your account. Once logged in you’ll find your HelloShare code, which allows you to refer an unlimited number of friends. Share your code with friends and family. Once they’ve signed up, they’ll receive their discount and your account will be credited. You’ll also periodically get the chance to send absolutely free boxes to friends who sign up as a new customer. Get hold of your friend’s referral code. Alternatively, ask them if they have any freebies available – these are time-limited but you’ll get your first box completely free when you sign up. Sign up for a new account, ensuring that you use the referral code that your friend provided. Enjoy your discounted recipe box! 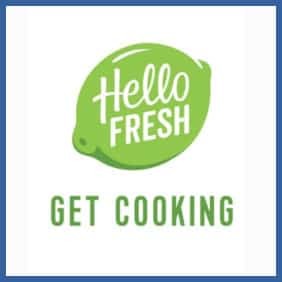 Exciting new recipes are made easy with a HelloFresh recipe box. If you’ve been enjoying these fresh, pre-measured ingredients and recipe cards that are delivered right to your door you should get onboard with their refer a friend program. Refer a friend and they’ll receive a hefty discount on their first box, while you’ll get a credit added to your account – cutting down the price of your HelloFresh subscription every time you take part. Thanks to Joe for providing this code.